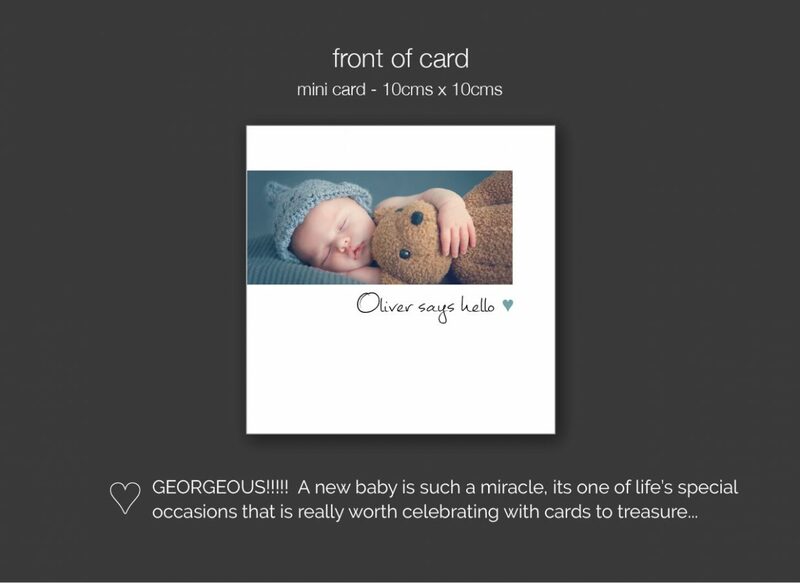 New baby cards are our absolute favourite – what could be cuter? The transparency of the photo really suits the subtlety of baby pictures. 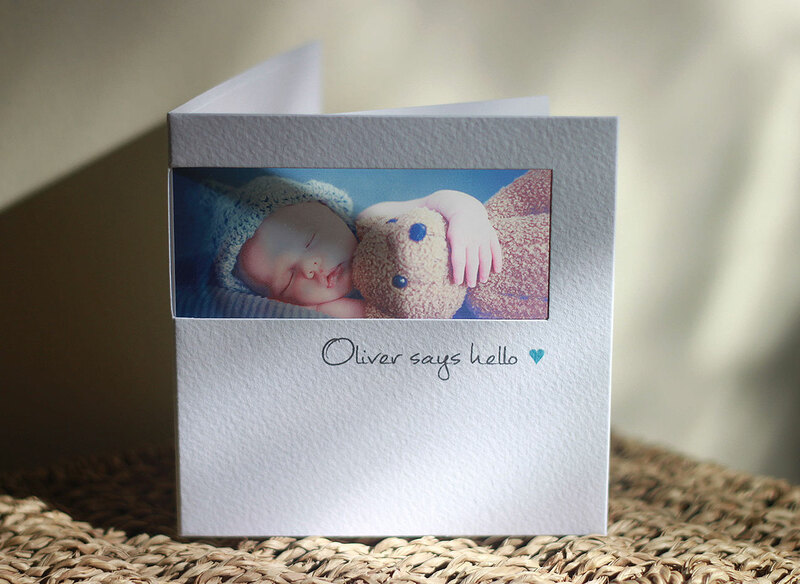 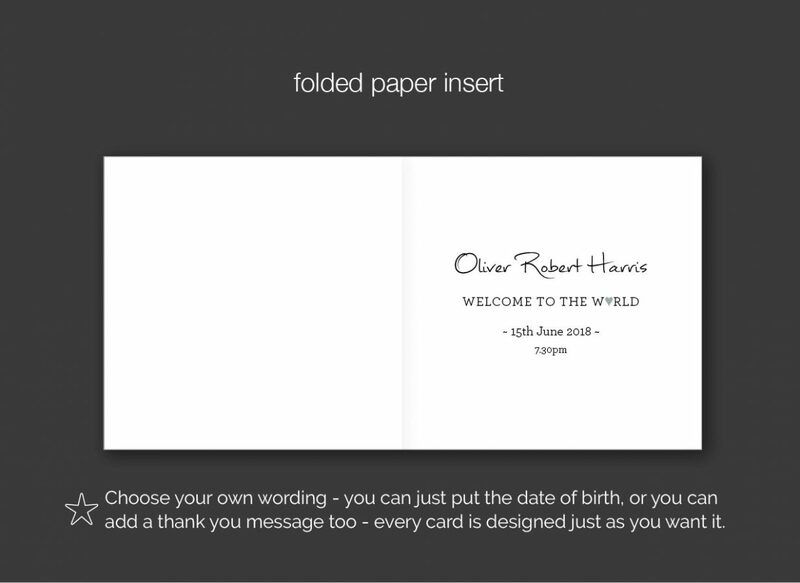 Don’t worry about getting a professional photograph, although these cards are so special it is worth taking your time to get a really good image. If you are taking the photo yourself, its a good idea to use a textured blanket to soften the image or a favourite soft toy to make it irresistibly cute! 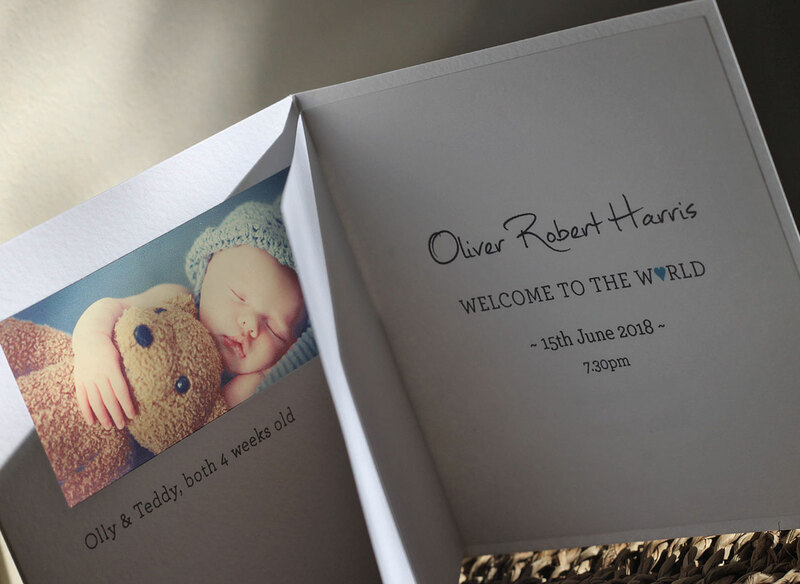 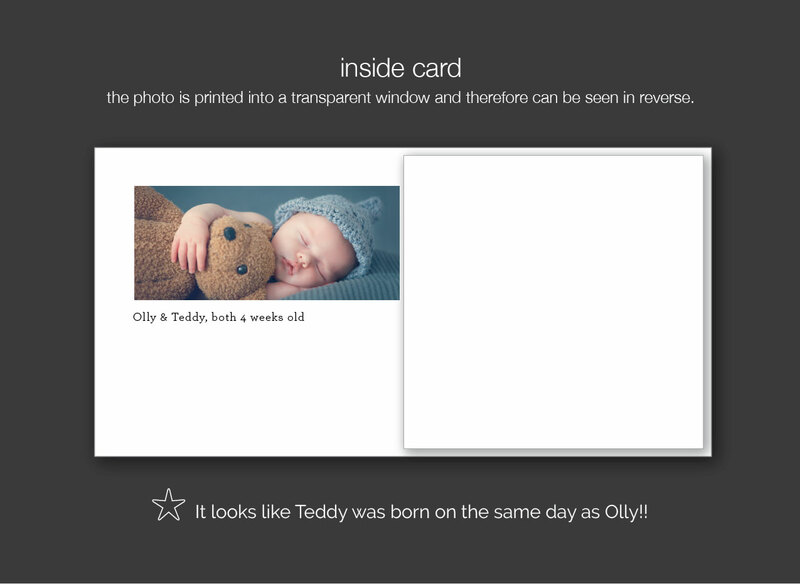 Just tell us you like the ‘teddy birth announcement’ if you would like to use any design details from this example.